Mmmmm... Chick Pea Curry with Nan Bread! 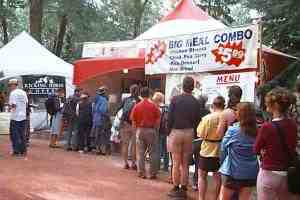 How can it be that the most inexpensive meal at the Calgary Folk Music Festival is also the best? $5.00 Canadian, let's see, that's about, um... 47 cents?